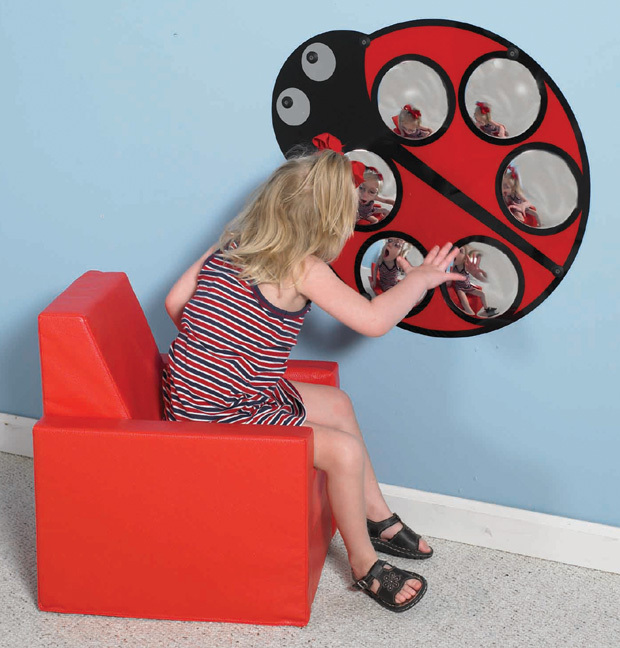 * Our ladybug mirror attracts and amazes children as their images multiply in the six bubble mirror. * Silk screened on back of mirror so color will not scratch off. * Dimensions: 23" x 23"
24.65" x 24.65" x 3"